This year, we’re supporting Waltham Forest Feet on the Street, a community organisation who does outreach to the homeless in Waltham Forest. A portion of all sales will go to Feet on the Street, plus we’re collecting donations for them. For more details, click here to read about the group and what types of thing/how you can donate. Now… on to the offers! Our holiday special (available until 31 December) = you buy a gift voucher for someone else, you get 20% off a session for yourself. For Black Friday/Cyber Monday weekend get 10% off any gift voucher you purchase, taking your total saving to 30% all together. Click here to go to our online shop to choose your voucher, and use code LSMBF18 to get your extra 10% off before Monday at midnight. If 2019 is your year to start taking better care of yourself, and having a regular massage is the way you want to do it, our new membership is for you. 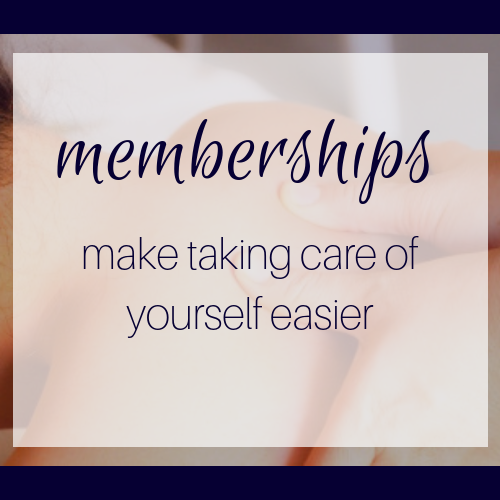 New this year, LSM is now offering memberships to anyone who wants to make massage a regular part of their monthly self-care. If you sign up to the membership this weekend, your first month will be just £40. Click here to go to our membership page for details and how to join. Neck, shoulder, or lower back pain starts small and quiet, and slowly builds, years pass, and you end up in constant achy/pain or looking like the Hunchback of Notre Dame. Our Black Friday sale has two offers for our deskworkers. 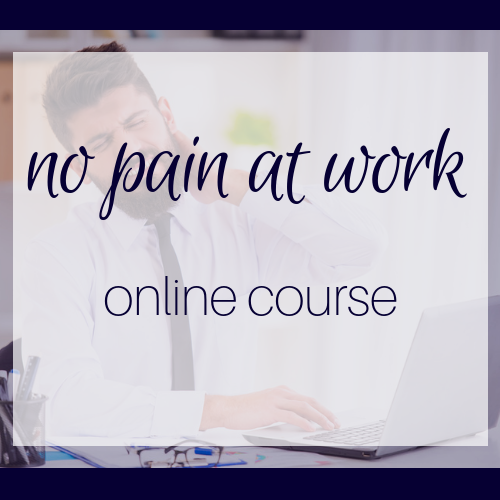 Get £30 off our online neck & shoulder pain course for desk workers, No Pain at Work. NPAW is a 6-week online course (with lifetime access). After NPAW you’ll know exactly what stretch to do when, how to fit it in your day to day life, and what good posture is. Or…do you need more support? If you’re really ready to tackle your desk-related neck and shoulder pain, this Black Friday weekend we’re rolling out something very special. And, because it’s brand new, we have a limited number of these packages available and are offering £100 off to our first few customers only until Monday. 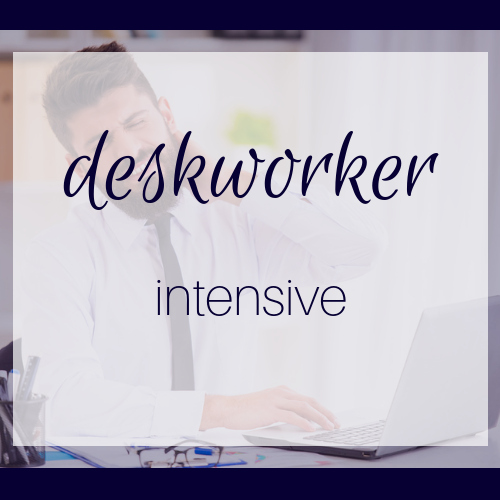 The Deskworker Intensive is a 2 or 3 month package to really get to the heart of your problem. Basically, it’s an intensive package to help you feel better and be able to take care of yourself going forward. For more details about what’s included and how you can apply click here. This year we’re raising awareness for and supporting Waltham Forest Feet on the Street. They’re a local outreach group that support the homeless in our community by distributing meals, clothes, helping them get to appointments, and basically making sure that people less fortunate than us are not forgotten. Please click on this link to read more about who they are and what they do. They are planning a Christmas dinner for their guys, as they call them, and in addition to goods they’re always happy to have volunteers to help them pass things out or man their hall during the week. Thanks so much for reading, and if you decide to take advantage of the extra savings during this weekend, thank you again! If you have any questions or would like help with anything, please feel free to email us at [email protected] and we will be happy to help. Do you know someone who might need a hint about what to get you this Christmas? Or who could use some help in taking care of themselves or with their neck & shoulder pain? Why not share this post with them and see if they get a little holiday inspiration :)? *Terms and conditions: Please note that by purchasing any of the vouchers, you are agreeing to the following terms and conditions. This holiday special is available until 31 December 2018. The gift voucher must be purchased as a gift (i.e., not for yourself) and is valid until the end of June 2019. Purchaser will receive a coupon code valid for 20% off a session of equal or lesser value. The voucher cannot be exchanged for money, and the coupon cannot be transferred to anyone other than the purchaser. If you purchase online, you will receive a confirmation email with a link to download your voucher and coupon. The email will contain a unique voucher and coupon code for your purchase – keep these safe as once it’s been redeemed we cannot accept it a second time. Terms and conditions for the 3m2m massage package and No Pain at Work packages can be found on their enrolment pages, which are linked to above.